In order to make participating in the Stand-Down as easy as possible, we’ve gathered some of our top resources in one location. Everything you need to conduct a stand-down is below – whether it’s for one day or the whole week. 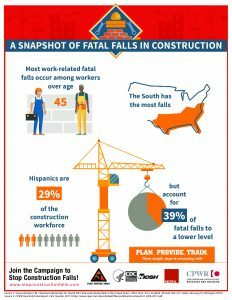 Written Fall Protection & Rescue Plan – Developing and implementing a detailed fall protection plan is essential to protect all workers at risk for a fall. Click here to use any and all sections that are applicable to your jobsite(s). 5-Day Stand-Down Plan – Not sure where to get started? Follow our 5-Day plan to participate all week long, or simply handpick a few daily activities from the list. Social Media Guide – Want to promote the Stand-Down with your members or constituents? Check out the suggested social media posts in our 2019 Stand-Down Social Media Guide. 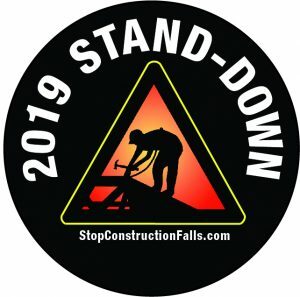 Hardhat Stickers – CPWR prints date-specific hardhat stickers for every stand-down, which can be ordered through our online ordering form. Hazard Alert Cards – these short handouts can be printed as PDFs or ordered as pocket-sized laminated folding cards through the ordering form. 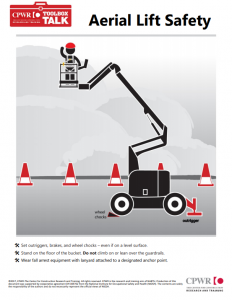 In addition to the posters OSHA has created, the NIOSH-CPWR co-branded infographics can be blown up and posted in order to draw awareness to a number of fall-related issues. 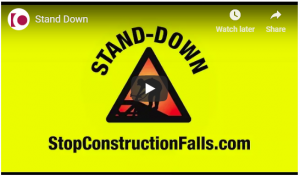 For additional tools and resources, visit https://stopconstructionfalls.com/prevent-falls-training-other-resources/.